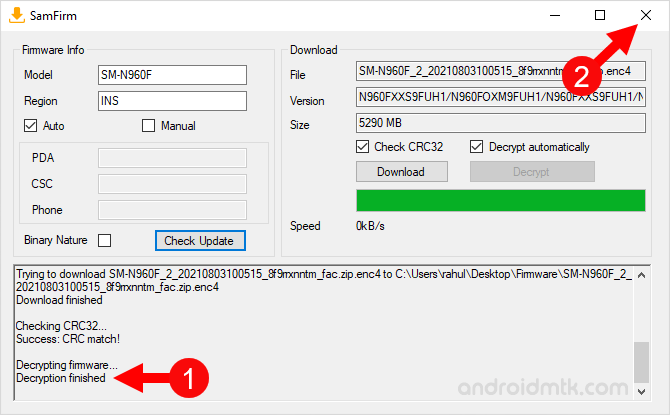 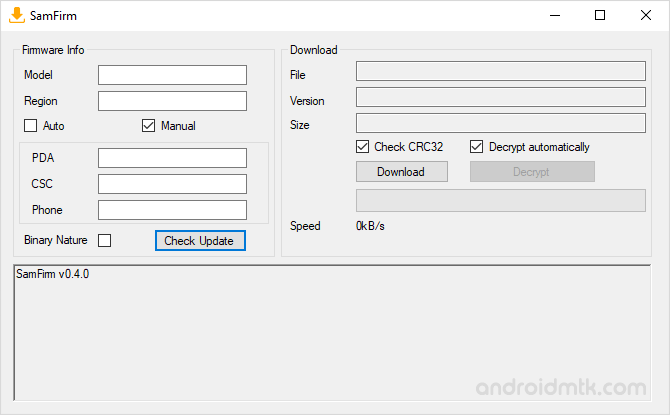 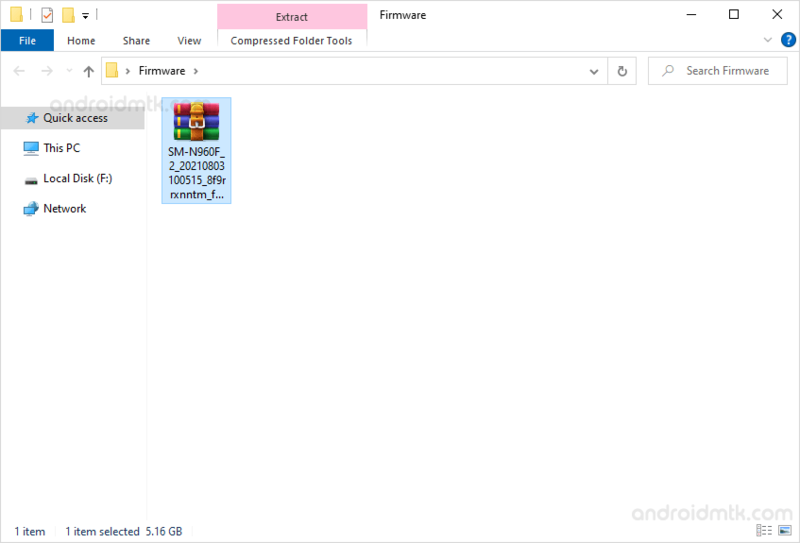 These are the instructions to use SamFirm Tool to download the Stock Firmware of your Samsung Smartphone and Tablets on the Windows Computer. 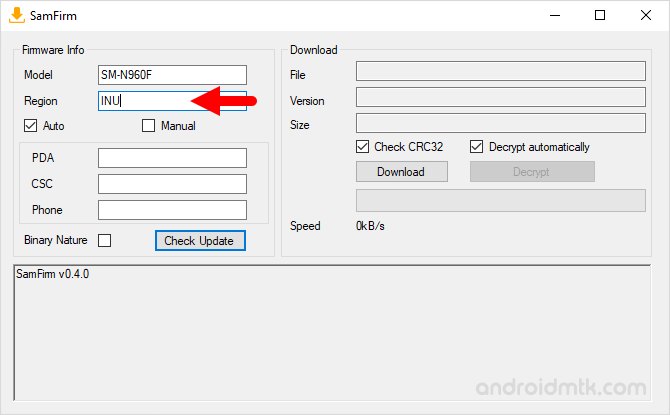 Requirements: You need to know the exact model number of your Samsung Device (check from Settings > About) and the Region Code (from where you bought the device). 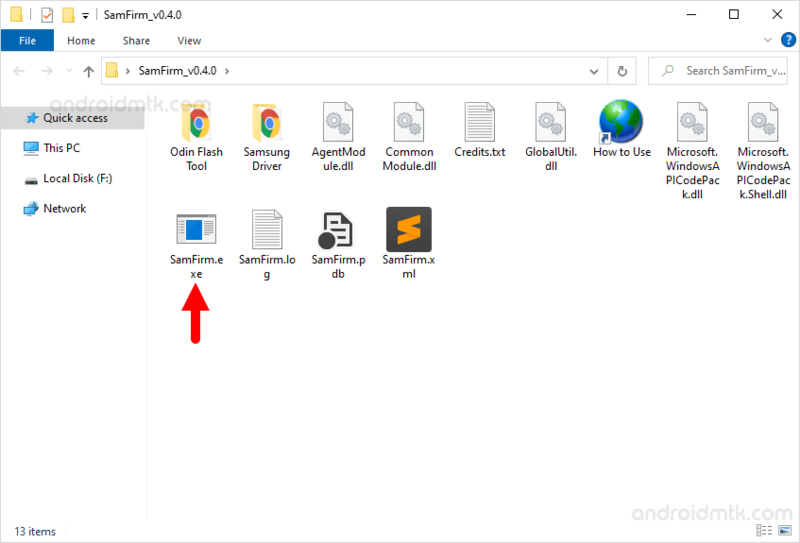 Step 1: Download and extract the SamFirm Tool on your Computer. 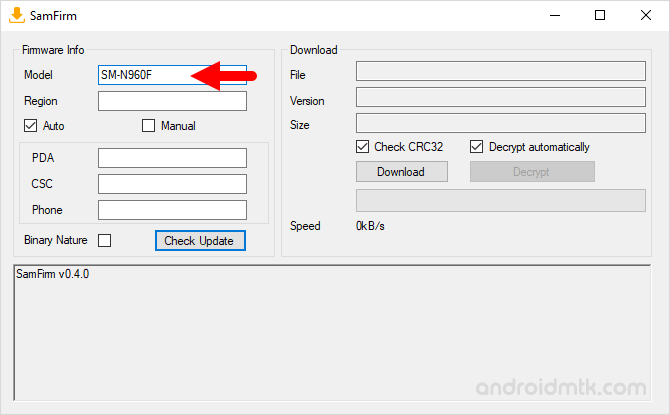 Step 7: Now, Under the Region, write the Region Code of your country (example: INS or INU is the region code of India). 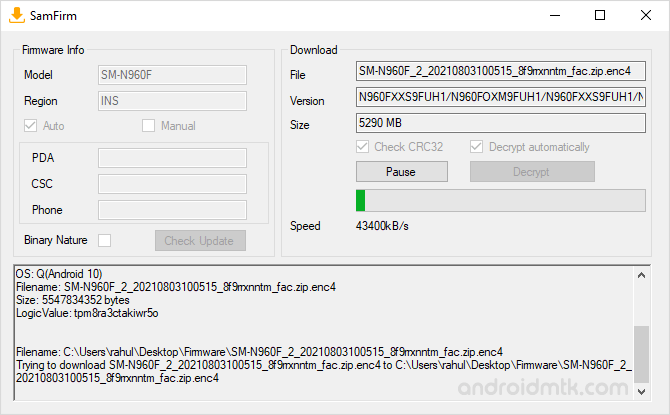 Step 9: Now, SamFirm will show the latest Firmware of your device (you will see the complete file name, Version and File Size). 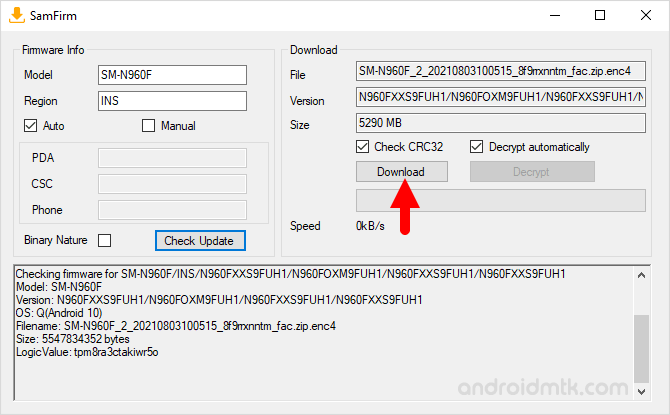 Step 10: Now, Click on the Download button to Start the Downloading process. 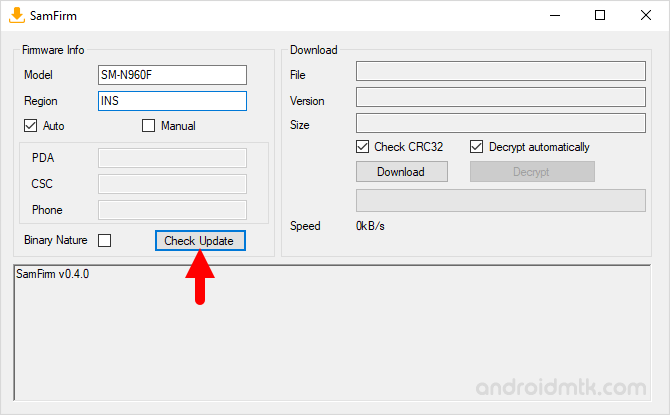 Step 12: Now, Downloading process will start automatically and may take couple minutes to complete (depends on the firmware size and your internet speed). 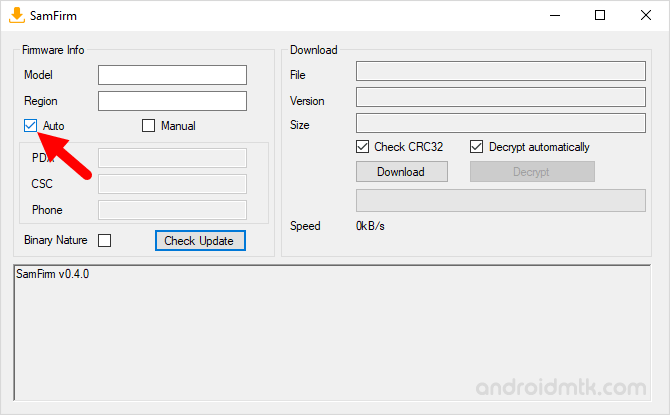 Step 13: Once Downloading process is completed, Decrypting process will start automatically and may take few minutes to complete. 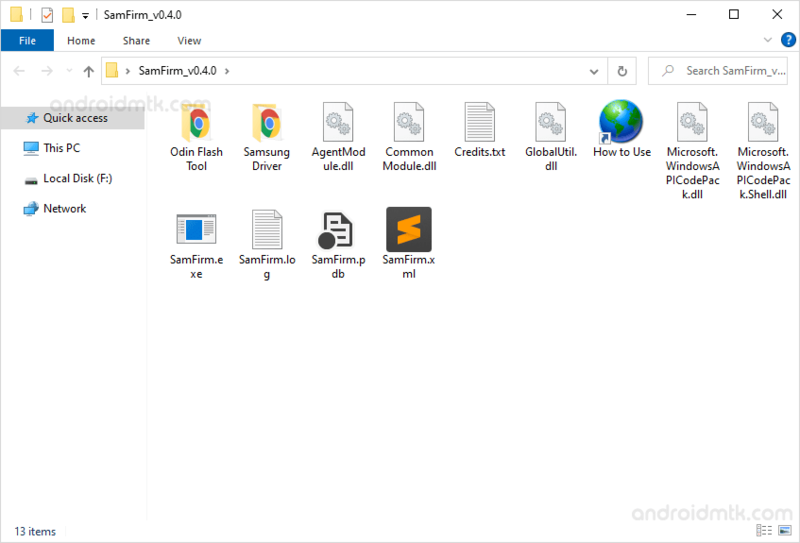 Step 14: Once Decrypting Process is completed, Close the SamFirm Tool. 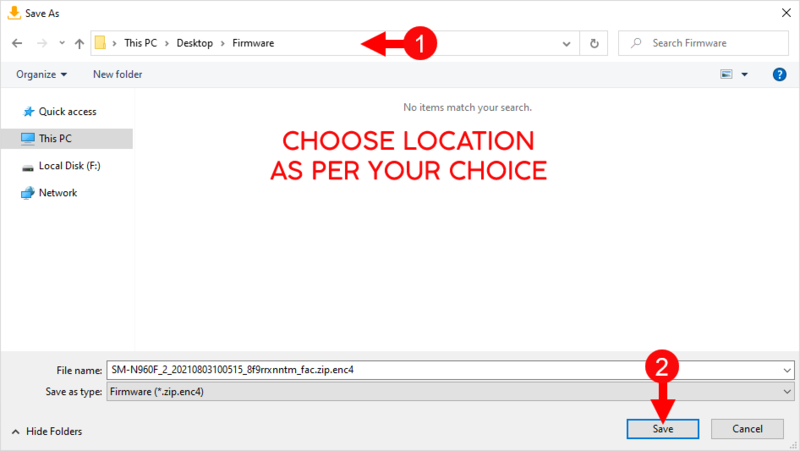 Step 16: Now, you need to extract the final zip firmware on the computer and you will be able to get the tar.md5 file. Step 17: Now use Odin Downloader Tool to Flash the Firmware on your Samsung Device. 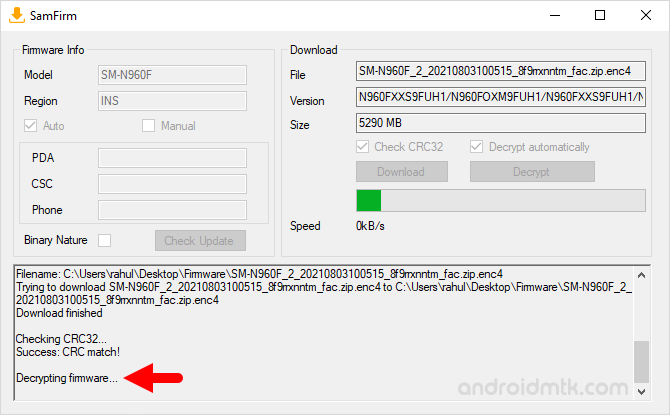 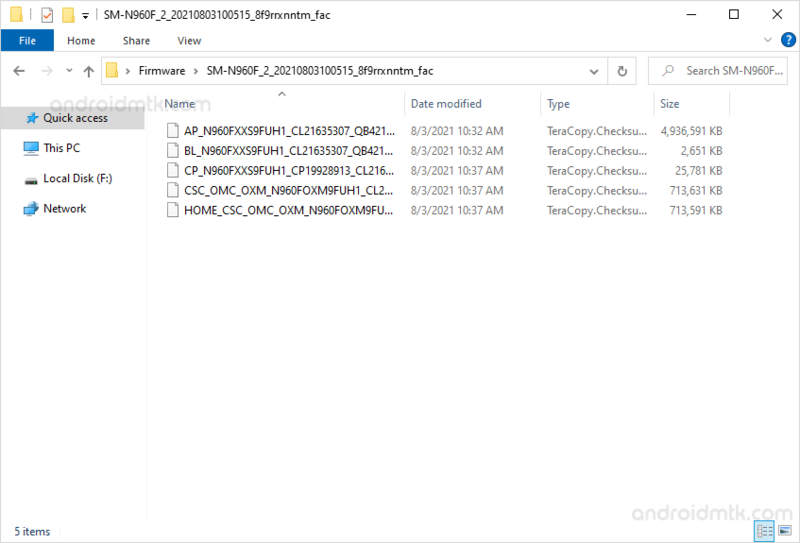 [*] How to Flash Firmware: If you want to learn to Flash the Stock Firmware, then head over to How to Flash Samsung Stock ROM using Odin page.